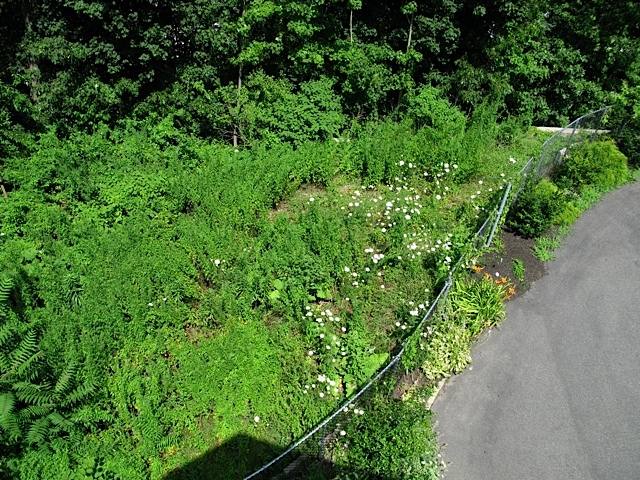 The new owners of a tall condominium wanted a place to garden and an interesting view from the decks overlooking this weedy slope. 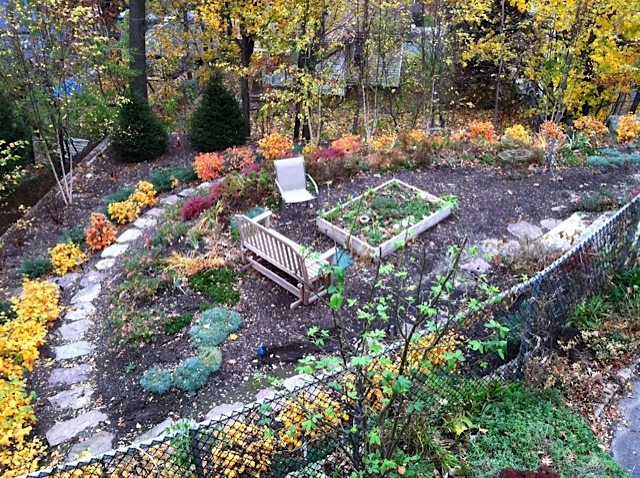 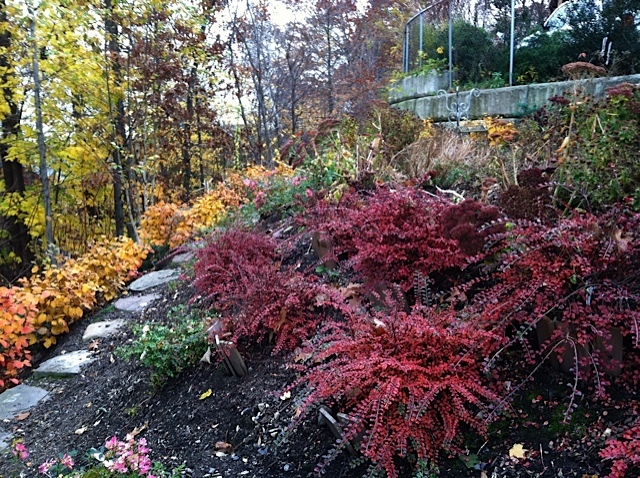 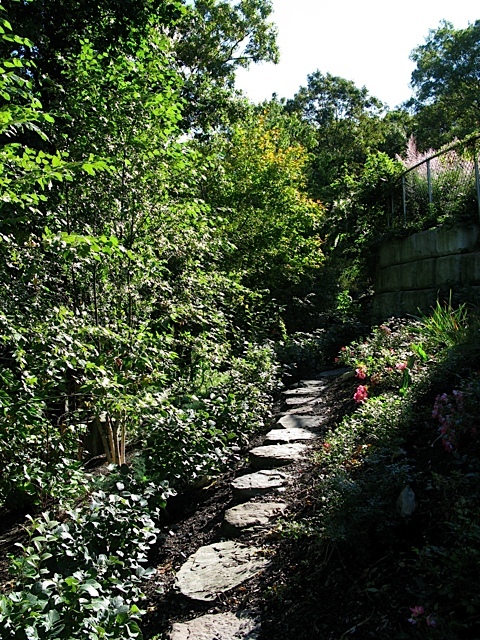 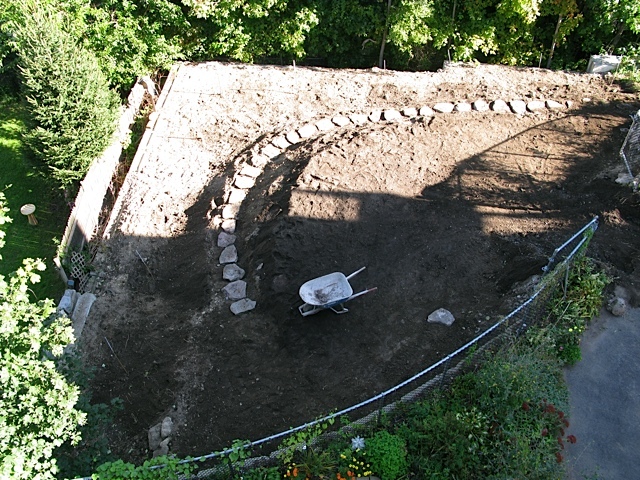 By terracing the hillside, adding a curving path, and planting colorful trees, shrubs and perennials, we created an interesting place to walk and garden and an ever-changing panorama to enjoy from above. 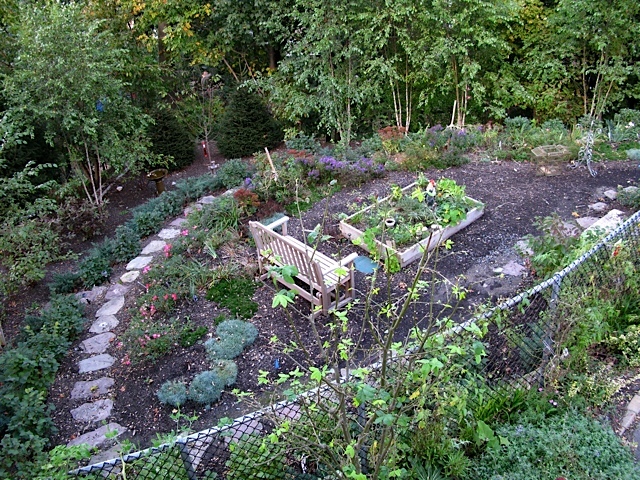 The raised vegetable bed produces beautiful greens, herbs and tomatoes; birds flock to the many feeders.